This woman makes decisions every day that affect billions of people. The organization she leads is the most important in ensuring the stability of the global economy. And yet there's a good chance you haven't heard of her — at least, until she got her very own cover of TIME magazine. Thursday, TIME announced its 100 Most Influential People, and Christine Lagarde made the list, as well as her own unique worldwide cover of the issue. She's the managing director of the International Monetary Fund, the organization in charge of promoting trade, sustainable growth, and international cooperation among its member states. There's a reason Lagarde's being highlighted so much this year. Her TIME profile — penned by another big name in finance, Chair of the Federal Reserve Board Janet Yellen — explains why. First off, she's a "trailblazer." Before she was chosen by the more than 100 countries that make up the IMF to be its managing director, she was the finance minister of France. She was the first woman to take on that job in any large advanced economy, and she quickly faced big problems with the euro crisis that followed the Greek debt crisis. Nonetheless, in 2009 she was named the best finance minister in Europe by The Financial Times. Yellen stresses Lagarde's job performance at the IMF, too. When she's not spending her days speaking at the World Economic Forum, she's meeting with finance ministers around the globe. She tried to prevent further crises in Europe and worked to give Greece a ladder out of debt, admitting that austerity might not have been the best move. She also helped spur economic reform in China. No organization is more crucial to the stability of the global economy than the International Monetary Fund. Its decisions affect billions of people, so the person who heads the IMF must be an outstanding, effective leader. Christine Lagarde meets this high standard. 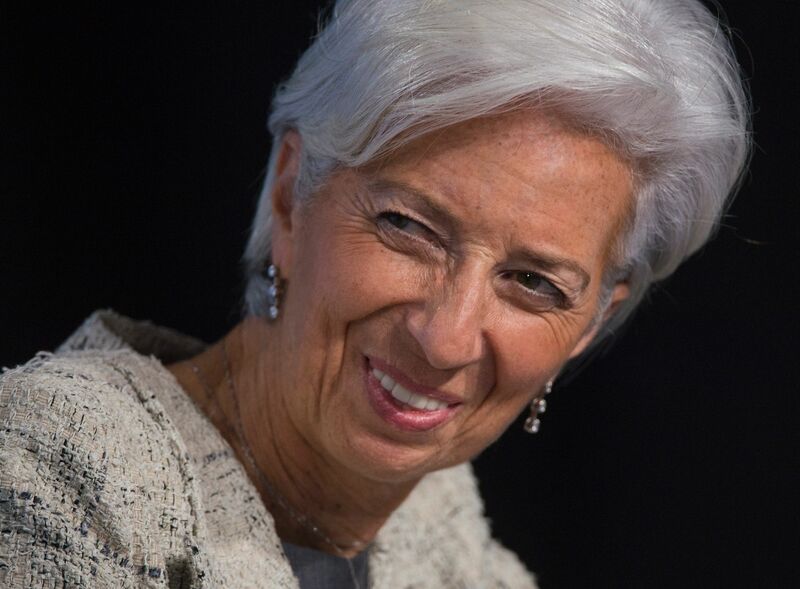 She has ably led the IMF through a tumultuous era for the world economy since she was chosen in 2011 by the more than 100 nations that govern the organization. Christine is a trailblazer, the first woman to lead a major international organization like the IMF and, as Finance Minister of her native France, the first woman to hold this key role in any large advanced economy. The IMF lends to member governments with the goal of minimizing the long-term damage of financial crises and preventing them from spreading. Christine was central to the effort to stabilize Greece’s economy and prevent a wider crisis in Europe. She has spurred economic reform in emerging nations like China that have appropriately gained more of a voice at the IMF. She has also given the IMF a more human face by addressing issues like gender and income inequality and public-health threats like the Ebola virus. Christine is enormously impressive — a charismatic leader, respected worldwide. She is also a good friend and fun to be around—witty and refreshingly direct, whether we’re sharing a stage or a private meal. In her role at the IMF, Lagarde has become one of the biggest voices on gender and income inequality, Yellen pointed out. In March, she said, "Inequality is sexist," while speaking at a forum at Wellesley College. She said if women played an equal role in the work force as men, global growth would skyrocket to 25 percent. This is not a new viewpoint. Back when she was France's finance minister, she warned against having "too much testosterone in one room." Seek out support around you. Because I don’t think changes can be achieved on the stand-alone basis by one’s self only. So reach out. Form coalitions … And use, as much as possible, the research that is available to convince. She seems to have won the support of Yellen, who calls her a good friend. "Christine is enormously impressive—a charismatic leader, respected worldwide," Yellen wrote. And with the TIME profile, she may very well become a household name.